This curriculum based support group engages youth in building successful strategies for healthy maturation and social development, and covers a range of topics, such as: being “out” in school, healthy relationships, body image, drugs and alcohol, and healthy role models. Community building activities are also held including game nights, a holiday party, pool party and Side by Side Thanksgiving. This group, for ages 14-20, is held on Tuesday nights from 6:30 – 8:30 pm. 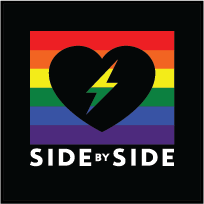 If you are new to Side by Side, please try to arrive a bit early to be introduced to the world of Side by Side and fill out a confidential form. For more information contact Emma Yackso at 804-644-4800.